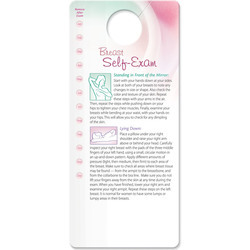 Featuring breast self-exam instructions and a chart of leading causes of illness in women. This double-sided, waterproof card hangs anywhere as a handy guide on performing monthly self-exams. 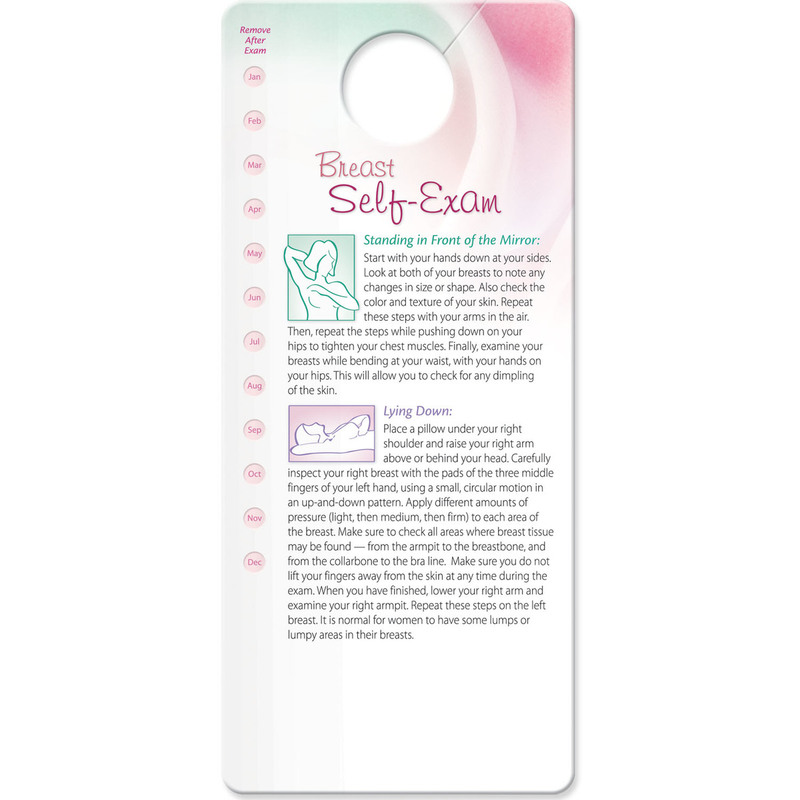 It includes perforated punch-out rounds for 12 months of the year to help you stay on schedule.